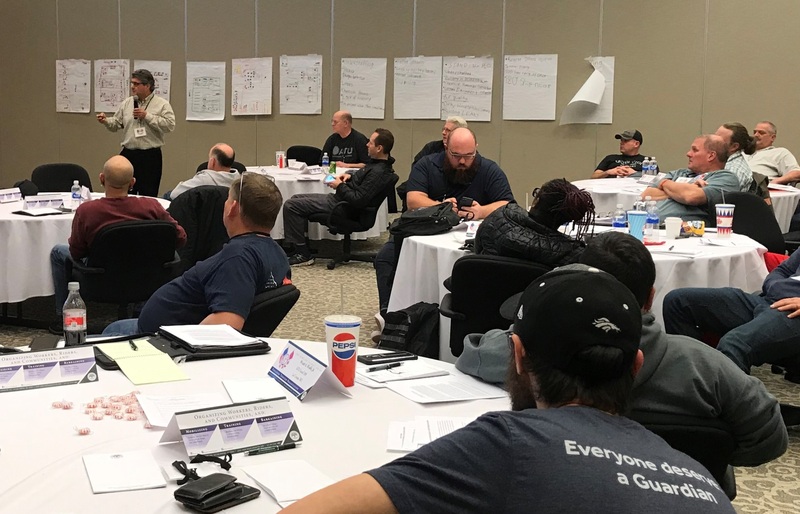 The Center’s Xinge Wang and John Schiavone provided a maintenance training session to technicians of the Amalgamated Transit Union (ATU) at the December 9-14 Maintenance Training Workshop held at the Tommy Douglas Conference Center. Xinge opened the session by sharing major workforce challenges facing public transit today that include an aging workforce retiring in large numbers, lack of younger workers willing to fill those positions, limited training resources, and advanced technologies that require new skill sets and training. She mentioned Center initiatives to address these challenges such as National Training Consortia where agencies pool their resources to produce cost-effective training materials, and several transit apprenticeship programs. John then provided details on various frontline apprenticeship programs with a focus on bus maintenance. He reviewed the various benefits offered by apprenticeships, the steps needed to achieve registered apprenticeship status, and various resources available from the Center to assist agencies launch their own apprenticeship programs. Given that most agencies have little or no internal training capacity, John introduced a concept to expand the role of shop floor mentors as part of a structured approach to enhance OJT. While providing hands-on instruction, mentors would also offer basic theory of understanding, allowing student technicians to better comprehend underlying system functionality. For example, understanding the role of brake calipers and rotors is made easier while being shown how to change brake pads. Learning could then be supplemented by instructor-led training, community colleges, e-learning, and other platforms. Many participants provided feedback that they left the session motivated to propose an apprenticeship program and improve their agency’s training. For additional information contact Xinge Wang or John Schiavone.